Who says Valentine’s Day has to be about hearts and dates? Throw yourself an anti-Valentine’s Day party! For many people, Valentine’s day can be a horrible experience. Whether you have recently broken up with your significant other or have been single for a few years, Valentine’s day is often deemed “Single Awareness day” for its penchant to remind people of their loneliness. But who says you have to spend Valentine’s day being alone? One of the newest trends is to host an anti- Valentine’s day. The idea was popularized by the 2010 movies, Valentine’s Day, and is the perfect way for singles to spend the day. So how should you fight the blues of Valentine’s day? Let’s talk about some anti-Valentine’s day ideas. Just because you aren’t “Crazy in Love” doesn’t mean you have to spent the night with “Me, Myself and I.” Take a cue from Beyoncé and call on all of your “Single Ladies” for a night of fun and anti-love. But your event doesn’t have to be just the ladies. Invite some of your best guy friends over as well for a night or non-love related movies, some games, and some cocktails. The most important part of any party is the food. Make sure to keep your food within the theme. Get a box of store-made heart cookies and break them in half, have a bag of Sour Patch Kids, and food with plenty of garlic since you won’t be kissing anyone. Make these signature cocktails like Cupid’s Broken Arrow with Three-O Mango vodka, Triple Sec, and cranberry juice; or The X Boyfriend with X-rated Fusion liqueur, vanilla vodka, orange, pineapple, and cranberry juices. Have your guests bring a Valentine’s day bear and stick it with sewing pins or have a bad boyfriend photo and name burning party. Instead of the traditional conversation hearts, hang up banners with anti-Valentine sentiments like “eww” and “single 4eva.” You can also do a banner saying “Love Stinks” or “Down with Cupid.” Get a heart piñata for guests to bust open and fill it with sour candies or dark chocolates. You can also have guests decorate their own heart with their ex’s names and tear them to pieces. Valentine’s day should not be a source of stress or sadness for anyone. So take the chance to celebrate the love you have for yourself and your friends with an anti-Valentine’s day party in your Harborside Village Apartment! 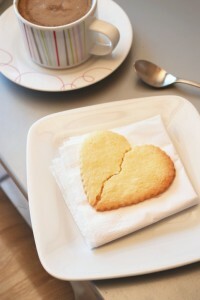 Anti-Valentine’s Day at Harborside Village! This entry was posted on Wednesday, February 10th, 2016	at 9:06 pm	. Both comments and pings are currently closed.